Maybe this isn’t Valentinesy in that “Heart Shaped Red Velvet Conversations Heart Aphrodisiac Cheesecake ” sort of way, but it is a fun way to eat ice cream. And really, who doesn’t need that in their lives? I’m at the very end of writing this book, that’s due to my publisher in just three weeks. I vacillate between sheer panic, absolute gratitude for this opportunity, and utter exhaustion. I’m not sure which I am most looking forward to: sleeping again, being a normal human, or the ability to refer to myself as a publisher author (!!!). In other news, my husband deserves an award. And a lot of that Valentinesy type wifeish attention that I’ll have more mental capacity for once I’m a normal human again. We are both looking forward to that. In the meantime, here is a not-as-bad-for-you ice cream dish. Because when your bowl is half full of fruit, it’s pretty much like health food. 3 granny smith apples (granny smith hold their shape the best, other apples will likely get soggy, but still taste great). 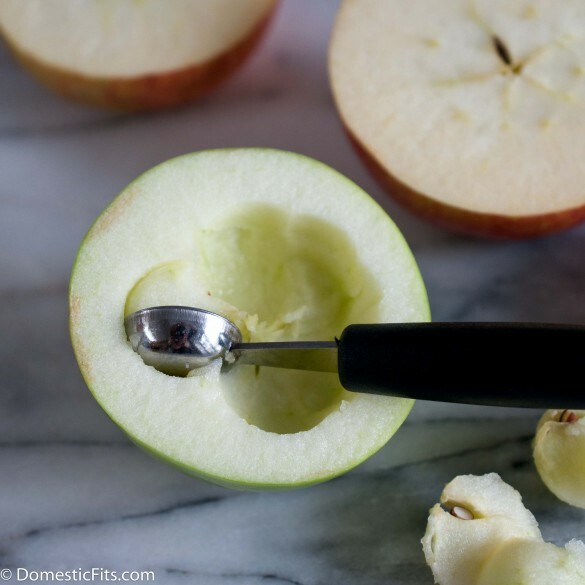 Cut the apples in half the wrong way (as in, the way that seems to be counter to all of your apple cutting instincts). Use a mellon baller to remove most of the center, leaving about 1/2 inch of the walls in tact. Line a baking sheet with aluminum foil, spray with cooking spray. 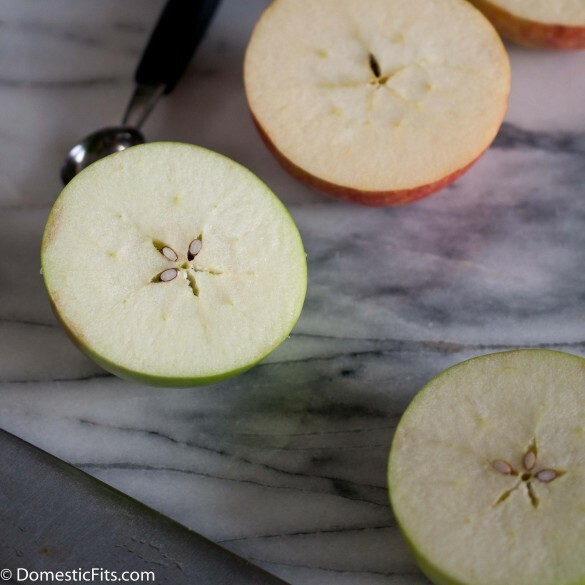 Place apples, cut side down, on the baking sheet. 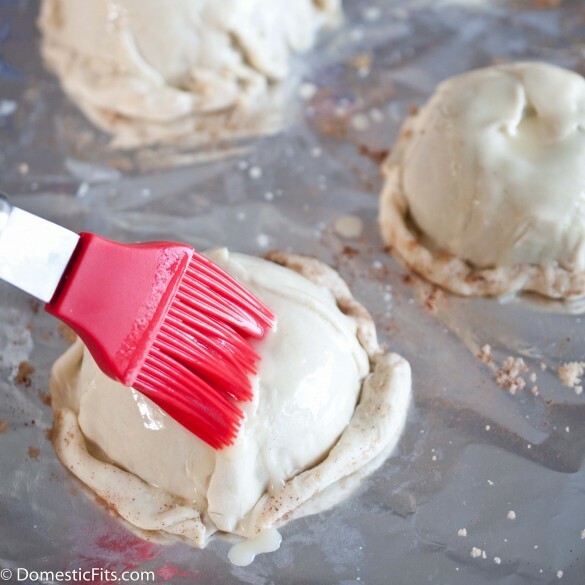 Roll out the puff pastry on a lightly floured surface. Cut into six equal sized squares. 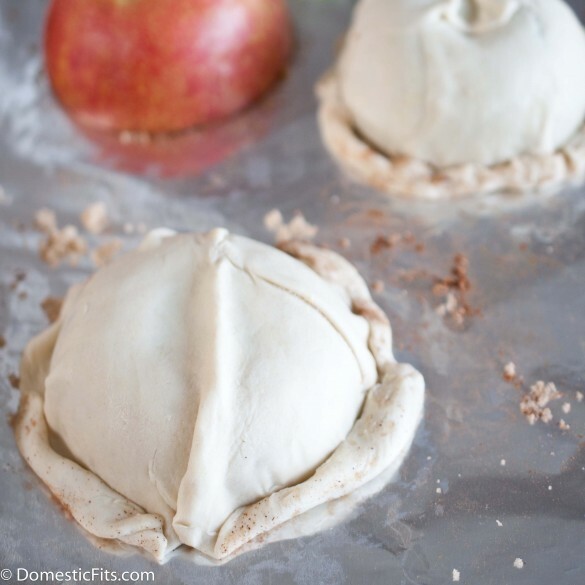 Cover each apples with puff pastry and roll the excess pastry around the apples to resemble a pie crust. Brush with melted butter and cut two or three small slits with a sharp knife. Bake at 375 until puff pastry has turned golden brown, about 18 to 20 minutes. Fill with a scoop of vanilla ice cream. I think the puff pastry is a perfect addition. I’d rather eat this than a heart shaped dessert! I love puff pastry, I could eat it daily. It’s all about balance 🙂 These are gorgeous! Three weeks to go – you are awesome. Can’t wait! Thank you Cassie! I’m so trying for that balance thing, but It’s not going so well. Maybe in March! It may not be heart shaped or pink/red but I’m would be totally happy with this for a Vday dessert! 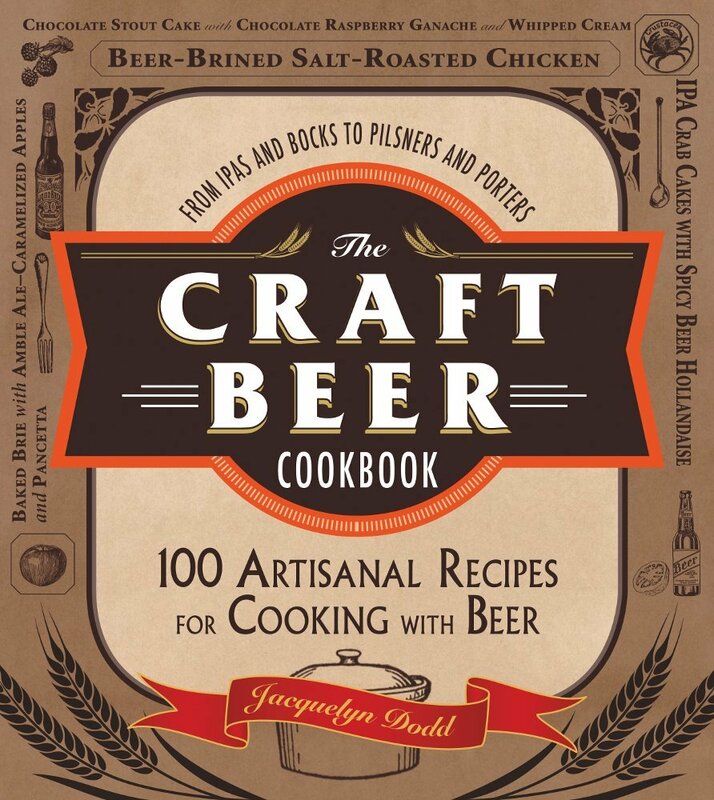 This is brilliant and such a good out for those of us who 1) have a fella who loves apple pie and 2) find ourselves without a shred of baking talent. 🙂 I’ll have to try this! And push to the end girl, being published is so worth all the effort. Congrats on being near the end! This is such a fun idea! 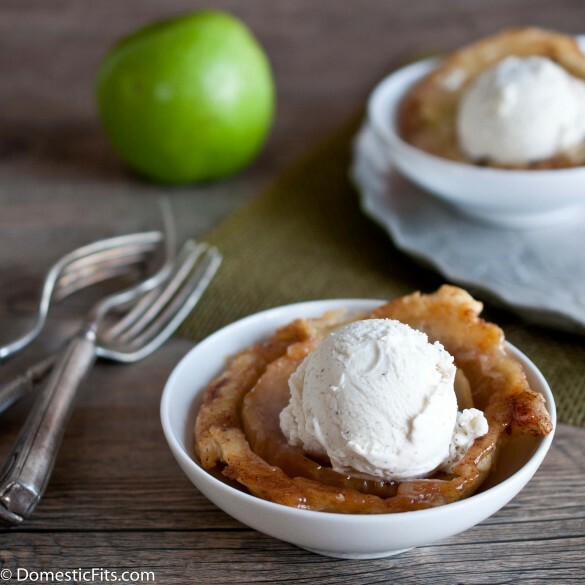 I love baked apples and the addition of pastry and ice cream sounds perfect! I love puff pastry! The baked apples are amazing too. What a great Vday dessert! Those look like the perfect treat with my sweetie on valentine’s. Oh my goodness – ice cream should always be eaten like this! 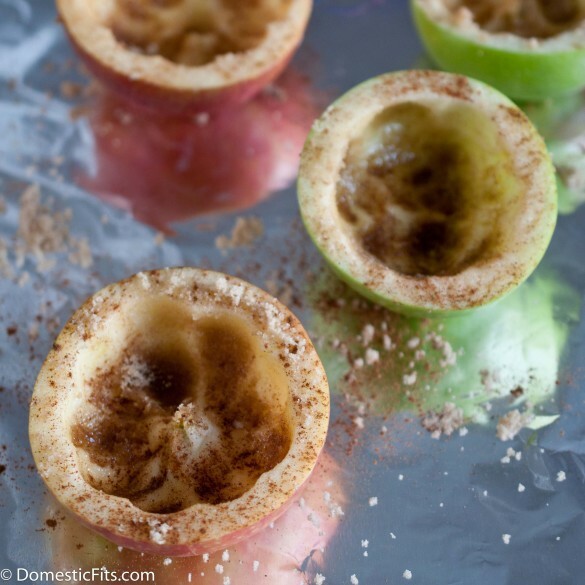 This is such an awesome and delicious idea! Just discovered your blog, Jackie – super inspired. My husband is crazy for apple desserts. Love how simple this one looks to put together for such an elegant result! This looks incredible, Jackie! 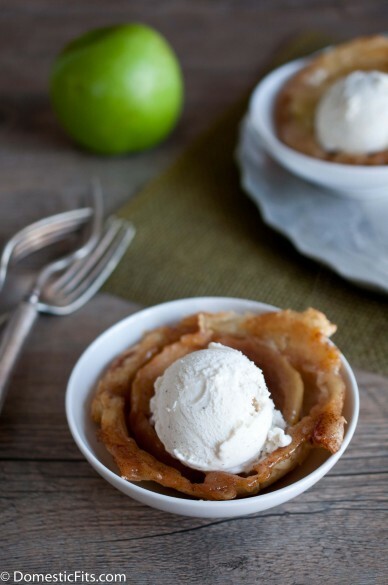 It’s the perfect day here for apple pie and ice cream. Ummm Jackie, this is pure genius. I love apple pie, ice cream, and puff pastry. I think I’ll be making these pretty darn soon! Thanks for the great idea *and of course good luck wrapping up your book in the next few weeks. I can’t believe there are only 3 weeks less, you must have been working like a madwoman! And you still have time for this kind of brilliance – I will be forever impressed and inspired by you! Great idea, and gorgeous photos. This is so cool, Jackie!! I love it! Best of luck getting that book done! Hold the damn phone – How did I not see these until now?! Must make! !